When peace sets over, no feeling compares. A mellow, loving feeling pervades this mix, helping you turn down the volume knob on life. 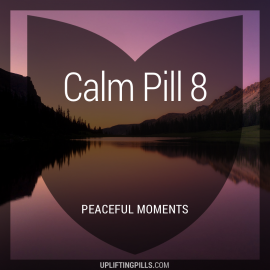 Uplifting Pills is a first of a kind music subscription service that delivers mix albums specifically designed to boost your happiness and well-being.